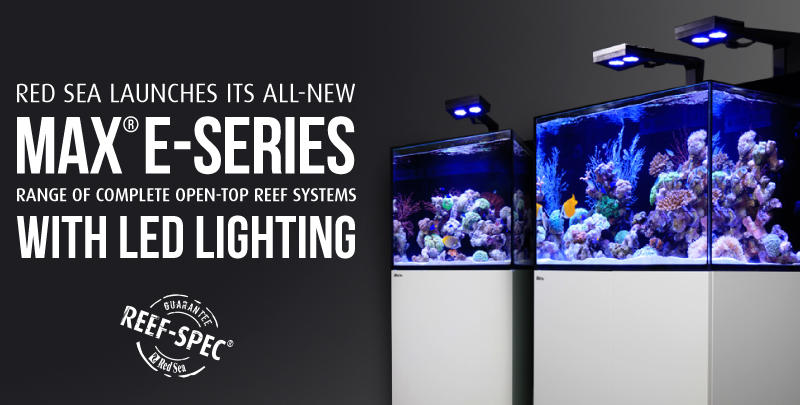 We are excited to introduce you to our all-new Red Sea MAX® E complete plug & play reef systems. Available in 170 & 260 liter (45 and 69 gal) versions, MAX® E-systems feature the very latest in reef-keeping technology including REEF-SPEC® LED lighting with integrated Wi-Fi control, Reef Spec filtration and circulation systems, a revolutionary modular sump system and a one-plug control panel. An all-in-one system with a Rear Sump offers a great solution for a complete reef system. However at some point we know you may wish to add more advanced filtration systems that can only be added using a full in-cabinet sump. The MAX® E-Series takes this into account and includes a unique multiport bulkhead enabling you to easily convert the integrated rear sump into a fully operational in-cabinet sump. The in-cabinet sump upgrade is available either as a pipe & valve upgrade kit so you can design, build and install your own sump, or as a complete upgrade kit that includes the pipe & valve upgrade kit and a professional sump featuring micron filter bags, constant height skimmer chamber, bubble trap and ATO (Automatic Top Off) with reverse osmosis reservoir. Revolutionary sump system that enables the integrated rear sump to be converted into a fully operational stand alone in-cabinet sump. We expect the Max E-Series to be in dealer showrooms by the end of February 2016. Look out for more exciting news from Red Sea over the coming weeks and please join our Facebook community HERE.